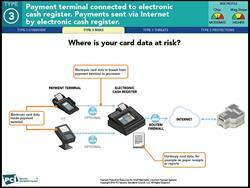 ATLANTA, GA --(Marketwired - July 08, 2016) - #PCISMB -- In an effort to help small businesses understand and effectively reduce their data breach risk, the Payment Card Industry Security Standards Council (PCI SSC) Small Merchant Taskforce has released an all-new set of cybersecurity resources. The PCI Payment Protection Resources are the result of a global collaboration that included financial institutions, small merchants and franchise groups, as well as two security and compliance thought leaders from ControlScan. "My colleague Tim Thomas [Senior Director of Product Management] and I were honored to be a part of the taskforce responsible for this effort," Chris Bucolo, ControlScan Director of Market Strategy, said in a PCI Compliance Guide post. "From my perspective, the PCI SSC Small Merchant Taskforce was all about creating a better understanding of the real risks that go along with the method(s) merchants rely on to process payment transactions," Bucolo wrote. "Our aim was to provide practical advice on how to not only assess, but also to mitigate breach risk." Read the PCI Compliance Guide post "Small-Business Cybersecurity: Acquirers Make a Difference!" for additional insights into how acquirers and other merchant service providers can leverage the PCI SSC Small Merchant Taskforce deliverables to educate and empower the merchants they serve. ControlScan is the Managed Security Service Provider with a difference: We take a proactive approach to protecting businesses from cyber threats while helping ensure their compliance with security and privacy standards like PCI DSS and HIPAA/HITECH. Our unified security and compliance services deliver confidence to millions of businesses as well as the IT professionals who serve them. Merchant service providers and web hosting companies also partner with us for PCI programs that reduce cybercrime-related business risk. Based in Atlanta, ControlScan is venture backed and supported by a worldwide base of customers, partners and strategic alliances. For more information, please visit ControlScan.com or call 800-825-3301, ext. 2. 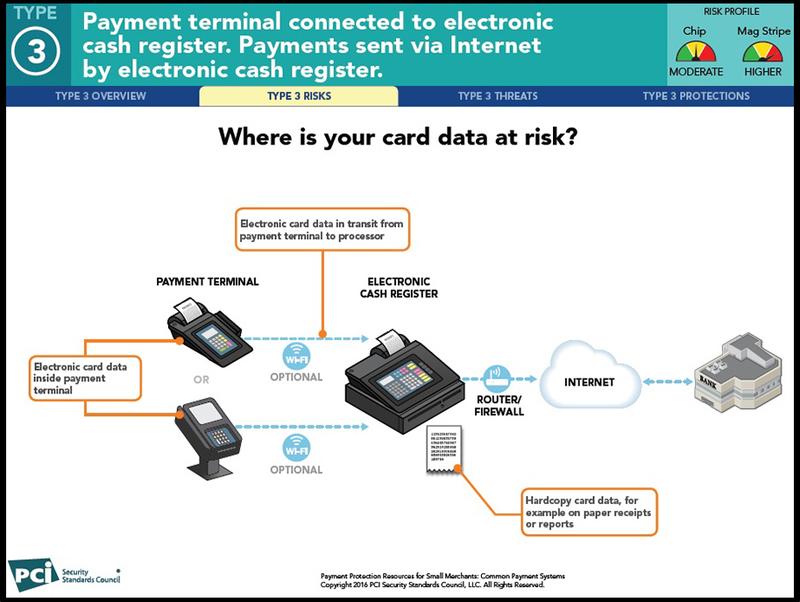 New PCI Payment Protection Resources include helpful diagrams like this one, enabling merchants to easily understand and effectively reduce their data breach risk.